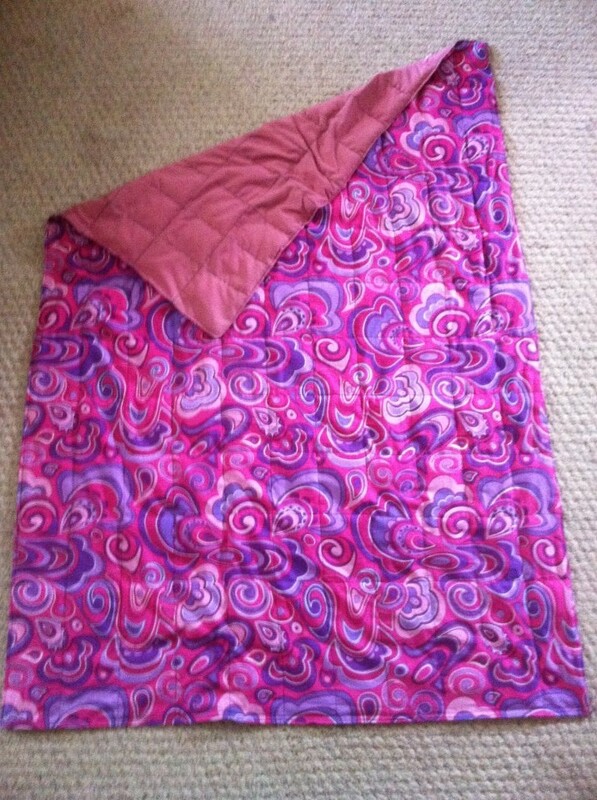 A wonderful girls weighted blanket made by Kathy Anderson. For years I have had the privilege of working in health care and through those years I’ve worked with many amazing people. One of those amazing young women is my friend Kathy’s daughter who has Sanfilippo syndrome (MPS-III). To learn more about Sanfilippo syndrome please read: https://roxannesrandoms.wordpress.com/2011/06/09/sanfilippo-syndrome/ . Weighted blankets, lap pads and vests can be a very beneficial, non-invasive, non-drug therapy for individuals with a Sensory Processing Disorder. To explain: sensory processing is how we perceive, filter and act on information received from our senses. Our senses include sight, sound, smell, taste, touch and movement. A Sensory Processing Disorder means that your brain isn’t able to process the information it receives from all of the senses (it is also sometimes referred to as a Sensory Integration Disorder). Simply put you just aren’t able to properly process sensory stimuli. Some examples of SPD/SID are: autism spectrum disorders including Rett syndrome and Asperger’s syndrome, ADD, ADHD, and CP. As we know, SPD does not discriminate and can affect all ages and races. Many parents or family members of individuals with a SPD struggle to figure out and find what therapies work best for their loved one. There are many medications out there that can assist with symptoms, but with many families wanting to go the more natural non-invasive route, weight and pressure therapies are awesome alternatives. Weighted blankets, lap pads and vests can all provide a constant and even deep pressure that can help with sensory input. The weight provides a proprioceptive input to the brain which is very calming. Weighted blankets have also been shown to be beneficial for people with insomnia, traumatic brain injuries, RLS, anxiety, Alzheimer’s, chronic pain and many other conditions. Researching weighted blankets can be overwhelming as there are many options and typically the price range is between $60-$190 depending on the size and weight of the blanket needed. Please make sure to talk to your doctor or physical therapist prior to choosing your blanket. There are many large companies out there that make weighted blankets, but I have always been a fan of supporting small businesses and keeping it local, so I am recommending my friend Kathy. Kathy’s rates are very reasonable and her blankets are very well made (along with being made with love). Kathy’s rates for blankets are as follows: 4lb= $30, 5lb=$35, 6lb=$40, 7lb=$45, 8lb = $50, 9lb =$60, 11lb= $70, 12lb= $85, 13lb= $95. Kathy will make blanket to the weight that your loved one needs (all sizes from children to adult). Kathy picks great fabrics and will actually take your special requests, so that your loved one will have the perfect blanket for them. 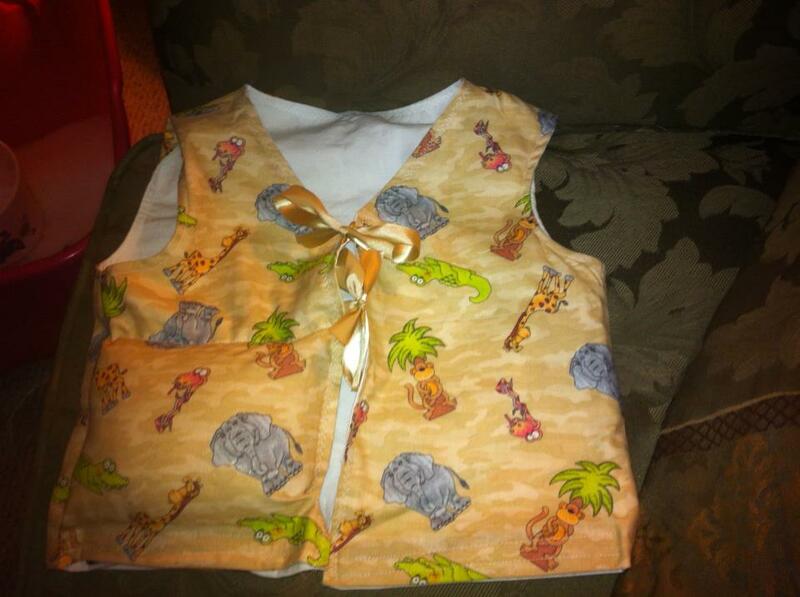 You can go to: https://www.facebook.com/WeightedBlanketsLapPadsVests to see more of Kathy’s creations. You can also email Kathy at weight4less@aol.com and ask her any questions and place your special order. A fun boys weighted blanked made by Kathy Anderson. I ordered a weighted blanket for my son with MPSIII from Kathy Anderson. It was awesome & so was her pricing 🙂 She let me know she was able to make them for the special kiddos at that price due to donations from generous people like you who help her with her fabric purchases. Thank you so much for your contribution to Reed’s blanket! Not only did this wonderful heartfelt card bring me to tears, but it also brought my husband to tears. 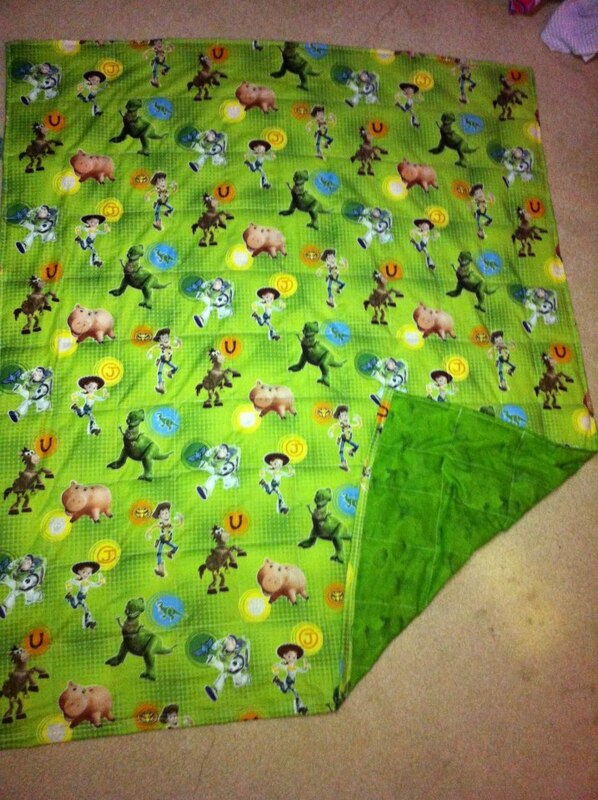 Knowing that my little donation was turned into a blanket that is able to help a wonderful young man warms my heart. Kathy is able to keep the costs of her blankets so reasonable because of donations. Big, small and everything in-between helps. Many times families are struggling with money and can’t afford to pay hundreds of dollars for a weighted blanket, especially with the cost of insurance, medications and other therapies. I know take this moment to kindly request that if you have $1, $5, or more that you can donate to help a family who has a loved one that will benefit from a weighted blanket, please do so. You can email Kathy at weight4less@aol.com to see how you can help and donate. Weighted vest made by Kathy Anderson. My name is Roxanne and I am proud to live in beautiful Central Oregon, originally from Minnesota. I am happily married with two wonderful Boston Terriers, Leo is the older of the two and he is in the profile picture with me. Doc is our younger boy who gives Leo a run for his money. We also adopted a beautiful little Bugg named Kuki. There have been many different crossroads in my life, which have lead me to become the person I am. Some days I feel a little lost, but that's life. I enjoy cooking, baking, photography, art, crafts, nature, change (not in just the money sense...lol), laughing/humor, spending time with my tiny family...and the combination of these help create the whole person. I do have to say experimenting with food has been a lifelong passion of mine and figured that I would share some of my experiments. As with most people I am opinionated and decided that sharing some of those would help burn some of my creative energy (and I always have extra to spare) and hopefully make you think and look at the world a little different.